A tiny slip of a country squeezed in between China and India, Nepal is about half the size of New Zealand. Blessed with dramatic natural features, the Himalaya Mountains is the major drawcard. Unrivalled bragging rights come with hiking to Everest Base Camp (5,364m), allowing one to casually toss into conversation: ‘Oh yeah, that time I hiked to Everest Base Camp.’ The multi-day hike with Nepal Hiking Team starts from the mountainside town of Lukla, and is doable for anyone with moderate fitness and the ability to adapt to vast changes in altitude.Eyeballing the behemoth that is Mt Everest (8,848m) — which is known as Sagarmatha or Chomolungma by the Nepalese — from the rubble-strewn Khumbu Glacier, is a moment to treasure. 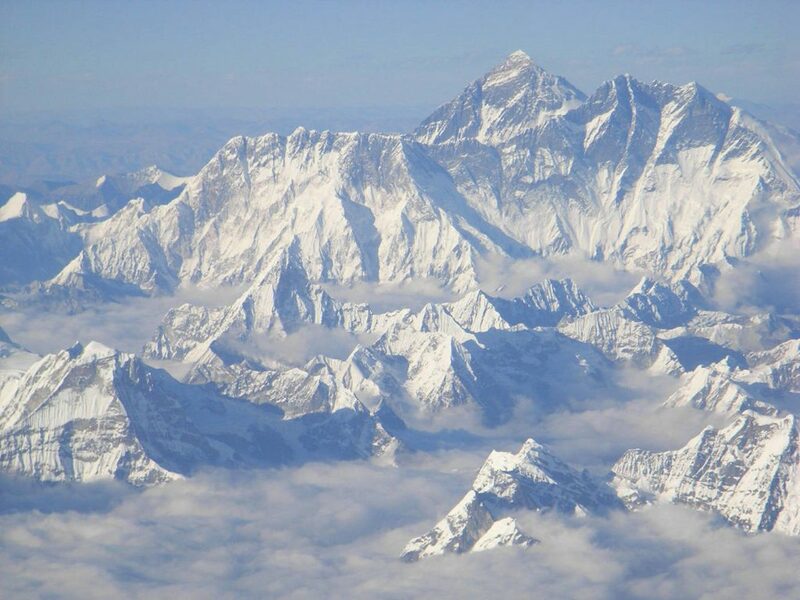 But it’s not just Chomolungma that steals the limelight — adjacent Mt Lhotse (8,516m), Mt Nuptse (7,861m), and Mt Chumbu (6,859m) all play an impressive support role too. Not quite rising to the giddy heights of media tart Mt Everest and her cohorts, the Annapurna Massif’s highest peak is the unimaginatively named Annapurna 1 (8,000m). No shrinking violet in the elevation stakes, rock climbers worship Annapurna 1 with the kind of respect that the planet’s tenth highest peak deserves. Hikers are also enamoured with the mountain range, thanks to plenty of easy foothill trails suitable for day trippers. Like any self-respecting spiritual city, Kathmandu has long attracted alternative life stylers, artists and soul searchers who have sung or written about Nepal’s capital. Bob Seger’s growling vocals epitomised a desire to escape to exotic Kathmandu in the 70s, while singer songwriters Cat Stevens and Janis Joplin also hold Kathmandu in their hearts. Although still being rebuilt after 2015’s monstrous earthquake, Kathmandu is a city of historic intrigue that continues to attract travellers looking for more than a ‘flop-and-drop’ holiday. Centuries-old buildings and UNESCO World Heritage sites like Kathmandu Durbar Square — with its royal connections and Boudhanath Stupa dominating Kathmandu’s skyline — are serious draw cards. Even if the signs imploring silence weren’t pinned everywhere, the palpable tranquillity hovering over the World Peace Pagoda discourages idle chatter. High on a ridge overlooking Pokhara, a brass plaque beneath the four statues of Buddha channels the wisdom of Buddha: ‘All the people who visit this place can experience peace in abundance’. It wasn’t always so. Beneath its serene exterior lies a troubled past, as the World Peace Pagoda has been the catalyst for many false accusations and arrests, and prayer halls and chambers were destroyed by government officials opposed to it. With peace restored, its worth the hike or drive to savour the tranquillity that comes with majestic views of the Annapurna range. The town of Pokhara wraps itself around the shores of Phewa Tal, Nepal’s second largest lake. Although the city lies on the valley floor of a historic trading route between India and China, today it is known as the adventure capital of Nepal. The topography is perfect for hang gliding and paragliding thanks to stable thermal winds in the lee of the Annapurnas, white-water rafting, zip-lining and kayaking, and there are natural limestone caves beneath the city for underground adventures. The town of Pokhara wraps itself around the shores of Phewa Tal, Nepal’s second largest lake. Although the city lies on the valley floor of a historic trading route between India and China, today it is known as the adventure capital of Nepal. The topography is perfect for hang gliding and paragliding thanks to stable thermal winds in the lee of the Annapurnas, white-water rafting, zip-lining and kayaking, and there are natural limestone caves beneath the city for underground adventures.